All of our courses are open to the community and can be taken without registering for credit. Here is a link to EOU’s course audit policy. To check out OUT course offerings by term click HERE. It is important to note that to not be charged tuition for OUT courses you need to enroll as a non-admit student and fill out forms to audit the course. You will still be responsible for paying the $25 application fee and any additional course fee – these can range from $10 for Yoga to over $600 for the Wilderness First Responder course. This one credit course is designed for students with little or no riding experience. Students will learn the fundamental skills and enjoyment of the riding and caring for a horse. Emphasis will be on learning how to care for a horse, tack a horse, and basic riding skills. Students will learn how to walk, trot, and jump small obstacles. Classes will be held Monday – Thursday, with students attending one class per week. Check Webster for class times. The class will be held off-campus at Victory Acres riding arena. Offered Fall & Spring Terms. Learn to shoot a bow. This one-credit course is designed for students with little or no archery experience. Students will learn the fundamental skills and enjoyment of the sport of archery. The purpose of the course is to introduce students to the basic techniques of target archery emphasizing the care and use of equipment, range safety, stance and shooting techniques, scoring and competition. Offered Fall & Spring Terms. This on- credit course is designed for students with little or no hiking experience. 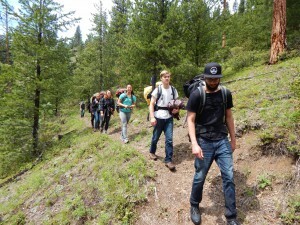 Students will learn the fundamentals and enjoyment of hiking on the many trails surrounding EOU. The class will meet in the Outdoor Program office, Hoke 118, and then head to the field for the remainder of the class time. The class will go for 10 weeks in 3 hour long sessions to give us enough time to venture out on the trails and in the mountains around La Grande. The course is taught in a way that allows students to gain an appreciation of backcountry hiking, ecology of the local landscape, and physical activity in general, as a healthy and viable lifetime recreational activity. Offered Fall Online & Spring Terms. 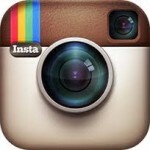 Learn the fundamentals of rock climbing- indoors. This one-credit course is designed for students with little or no climbing experience. 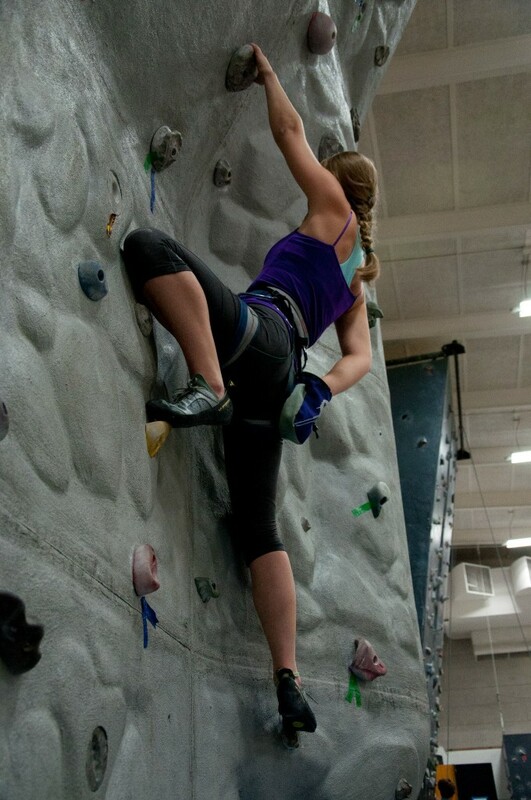 Students will learn the fundamentals and enjoyment of climbing on the gym wall in Quinn Coliseum.The course covers climbing skills basics including knot tying, belaying, rappelling, top rope anchor systems, and safety procedures in an indoor climbing gym. Offered Fall & Winter Terms. This one-credit course is designed for students who have little or no experience rock climbing. Participants will learn the fundamentals of top-roping and sport climbing. Offered Fall Term. Cast a fly and catch a fish. 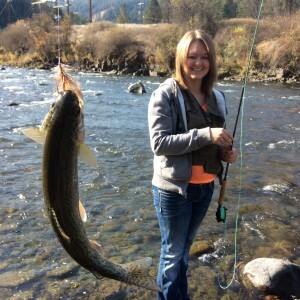 No experience is needed for this one-credit introduction to fly fishing course. Learn everything you need to know to embark on a lifetime of angling enjoyment. Offered Fall Term. 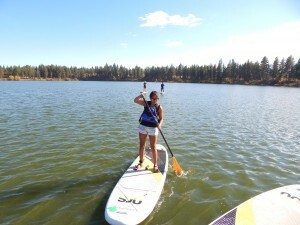 This one-credit course is for students with little or no paddleboard experience. Students will learn the fundamental skills and enjoyment of one of the newest and most popular water sports in America. Offered Fall Term. Learn How To Survive In the Wilds – For Real. This two-credit course is for those students who want to learn the fundamentals of how to survive in the wild or in an emergency situation. This course is designed to equip students with the skills and understanding of basic backcountry safety and survival including trip planning considerations, equipment selection, outdoor travel and orienteering, encounters with wild animals, and what to do if lost. Offered Fall Term. This one-credit course is designed for students with little or no backpacking or hiking experience. 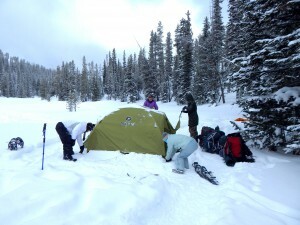 Students will learn the fundamentals of multi-day wilderness travel and low impact camping techniques in a backcountry setting. 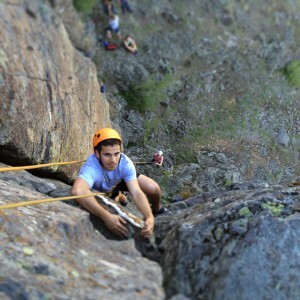 Students will spend two nights out in the Hells Canyon Wilderness Area. The course is taught in the Outdoor Program office, Hoke 118, for two evening sessions to prepare students for the required overnight field session. The weekend trip allows students to apply the skills they’ve learned in the classroom in a backcountry environment. 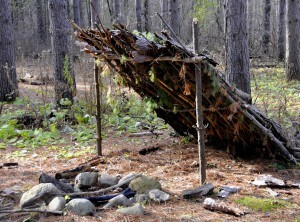 The course is designed to help students develop skills, form an appreciation for wilderness and nature, and gain an understanding of “Leave No Trace” techniques and outdoor equipment. Offered Spring Term. Dive into snow study and learn how to make good decisions in the backcountry. This is a 2-credit course that will meet from 4-6pm every other Tuesday on campus and also have two field days over a weekend in January. Participants in this course will receive a Level 1 certificate from the American Institute for Avalanche Research and Education (AIARE). 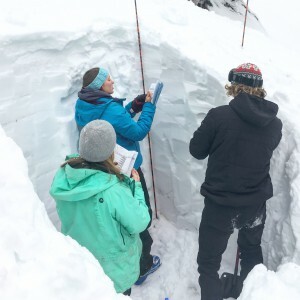 This course is designed for students with an interest in developing the skills and knowledge necessary to travel and lead groups safely through avalanche prone terrain with an emphasis on hazard evaluation, terrain management, and rescue techniques. Offered Winter Term. A-Lakes is a great place to learn how to ski. These lessons are about putting the fun in fundamentals. In this course you will learn how to turn and how to effectively control your speed using turns and the slope you are on. Learn how to increase your speed without loss of control and confidence. Ride the lift and dabble in intermediate terrain.Offered Winter Term. You can’t go wrong learning to snowboard at A-Lakes. These lessons are all about putting the fun in your fundamentals. Learn about your equipment, how to stop and get up from a fall, and make different sizes and types of turns. Developing confidence with rhythm and speed will be a major lesson component. Ride the lift and dabble in intermediate terrain. Offered Winter Term. Dial in your riding techniques and increase your confidence. This course is for those who can ride proficiently on intermediate slopes. 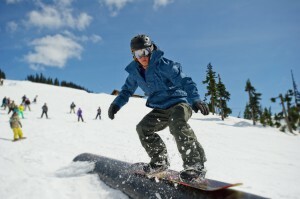 As an advanced snowboarder you want to tackle steep groomed runs and venture off groomed runs. Look to improve your steering skills so you can make shorter or smaller radius turns which will enable you to tackle more varied terrain. Continue to develop your short turn, learn to go fast with confidence, and look at the tactics involved with skiing off piste and on the black (most difficult) slopes. Offered Winter Term. Increase your skills and confidence. This course is for those who can ski on intermediate slopes and ski them with style and confidence. As an advanced skier you want to tackle steep groomed runs and venture off groomed runs. Look to refine the parallel turn and progress to steeper terrain. Improve your steering skills so you can make shorter or smaller radius turns which will enable you to tackle more varied terrain. Continue to develop your short turn, learn to go fast with confidence, and look at the tactics involved with skiing off piste and on the black (most difficult) slopes. Offered Winter Term. Learn to Safely Travel in the Backcountry. 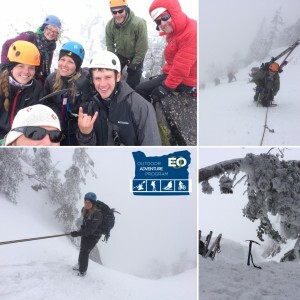 This course is for those interested in getting into the backcountry and is tailored to beginning backcountry skiers and snowboarders (split boarders). Field sessions will introduce you to the equipment, travel techniques, and snow safety precautions necessary to enjoy our wonderful mountains and copious amounts of powder. Through solid skills progression and knowledge scaffolding students will learn how to effectively and safely move up and slide down backcountry slopes. All snow safety equipment and backcountry gear is provided. Offered Winter Term. This is a fantastic opportunity to learn how to camp and travel safely in a winter environment. Students will build their own snow shelters and sleep in them overnight. The weekend in the field will take place near Anthony Lakes Mountain Resort. An emphasis will be placed on proper clothing, equipment, and techniques needed for traveling and camping safely in snow. Students will travel using snow shoes or cross-country skis and carry camping gear in a backpack less than one mile from the trailhead. Be ready for an adventure! Winter camping is actually pretty fun! Offered Winter Term. Experience a multi-day whitewater experience. This course introduces students to the sport of multi-day whitewater rafting. 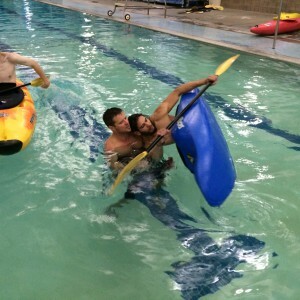 An emphasis is placed on learning the techniques of navigating a raft safely through whitewater and the logistics of planning a multi-day rafting trip on a remote river. 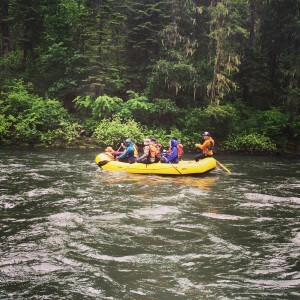 Students will get to experience a two-day trip on the Wallowa and Grande Ronde rivers. The scenery on this 45-mile run is characterized by basalt terraces and open forests that provide excellent wildlife viewing opportunities. Sitings of elk, deer, and even the occassional bear are common. This section of river is designated Wild and Scenic and a long stretch of the trip is through roadless wildlands. Offered Spring Term. This one-credit course is designed for those new to the sport of mountaineering and wanting the skills and knowledge necessary to climb safely in an alpine environment. Students must be in good physical condition and able to climb over 2,000 vertical feet and hike for miles in adverse conditions and carrying a pack. 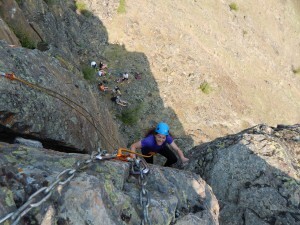 This course emphasizes learning proper climbing techniques such as belaying, rappelling, establishing anchors and protection, proper crampon and ice axe use, and self arrest procedures. Students will learn about avalanche hazard and safety, orienteering, snow travel, and group management. Offered Spring Term. Do you want to kayak? This is an AMAZING opportunity for EOU students to learn the basics of kayak paddling, safety, and perfecting the Eskimo roll. These skills are necessary for moving to the next level and getting you in whitewater on our local rivers. Offered Spring Term. Take your climbing skills to the next level. This course is for those with some previous rock or gym climbing experience. The focus of this course is on developing solid sport climbing skills and introducing lead climbing techniques. If you have done a bit of climbing and want to learn more about lead climbing, anchors placement, and rappelling safely, then this is the course for you. Offered Spring Term. Be ready in an emergency. This 80-hour national certification course is designed to introduce students to emergency medicine and provide the knowledge and skills necessary to administer emergency and medical care in non-urban environments. This course covers basic anatomy and physiology, assessment and treatment of injuries, appropriate short-term to multi-day patient care and evacuation considerations. Offered Winter Term. Eastern Oregon is home to some of the best mountain biking in the state. We have amazing single-track opportunities just minutes from campus. 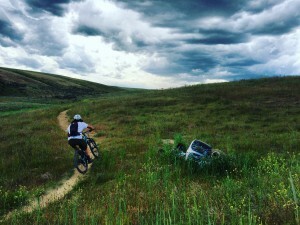 This 1-credit course goes over the fundamentals of of riding on single-track trails. Special attention will be given to riding technique and learning how to effectively balance, brake, and gear up and down. Students will learn how to do basic bicycle maintenance like fix flat tires, adjust brakes, and fine tune detailers. Students should know how to ride a bike, but no previous mountain bike experience is necessary. The OAP will provide the all the bikes, technical equipment, and transport for this course. Offered Spring Term. This one-credit course is a fantastic opportunity to learn about edible plants in our region. 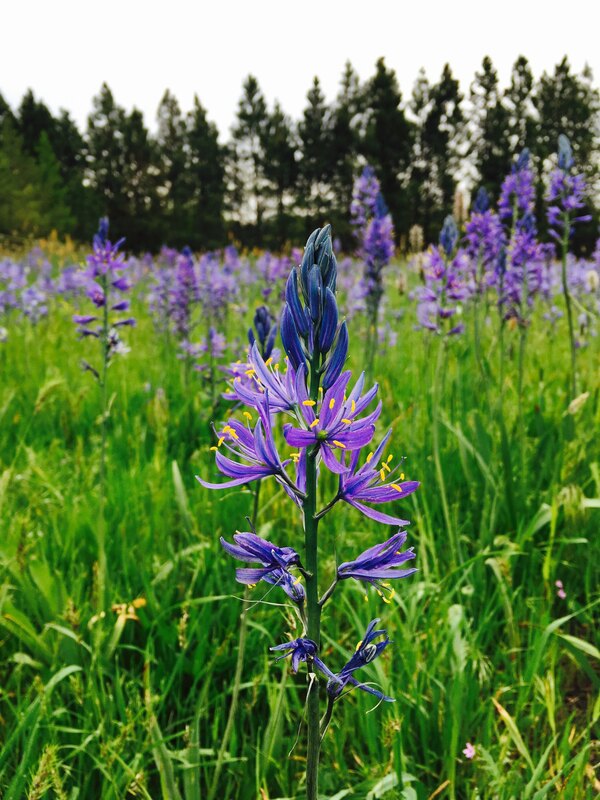 Students will be able to identify native flora that can be used in culinary recipes and for medicinal purposes. Students will also be exposed to what plants are poisonous and should be avoided. Foraging is an art and incorporates the fields of biology, ecology,naturopathy, and gastronomy. Offered Spring Term.